Kick off Leicester-Crystal Palace in Premier League on today 17:30. Referee in the match will be Kevin Friend. Team Leicester is located in the middle of the table. (12 place). Last 5 games (league + cup) finished balance 1 points. 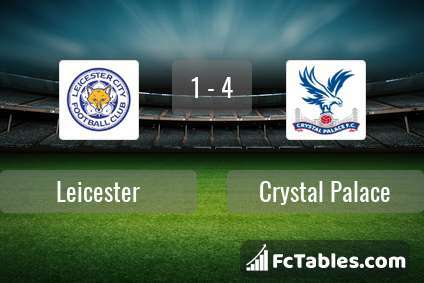 Leicester from 5 matches can not beat any rival. Players Leicester in Premier League with the highest number of goals: Jamie Vardy 8 goals, James Maddison 5 goals, Demarai Gray 3 goals. Most assists in the club have: Jamie Vardy 3 assists, James Maddison 4 assists, Demarai Gray 1 assists. Team Crystal Palace is located in the middle of the table. (15 place). Form team looks like this: In the last 5 matches (league + cup) gain 5 points. From 2 matches away can't win a match. From 3 matches no lost a match. In this season games Premier League the most goals scored players: Luka Milivojevic 7 goals, Wilfried Zaha 5 goals, Andros Townsend 4 goals. They will have to be well guarded by defense Leicester. Players Luka Milivojevic 1 assists, Wilfried Zaha 2 assists, Andros Townsend 3 assists will have to be very well guarded by defenders Leicester, because they have the most assists. 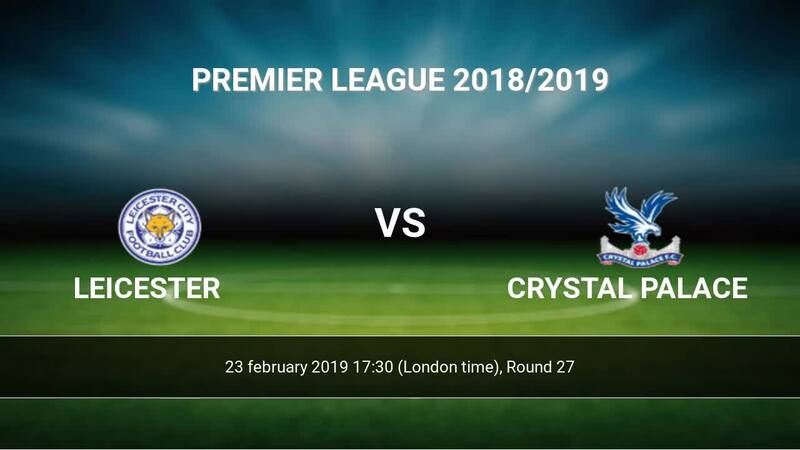 Injured players Crystal Palace: Pape Ndiaye Souare, Aaron-Wan Bissaka, Martin Kelly. Direct matches: usually ended with winning of Crystal Palace. 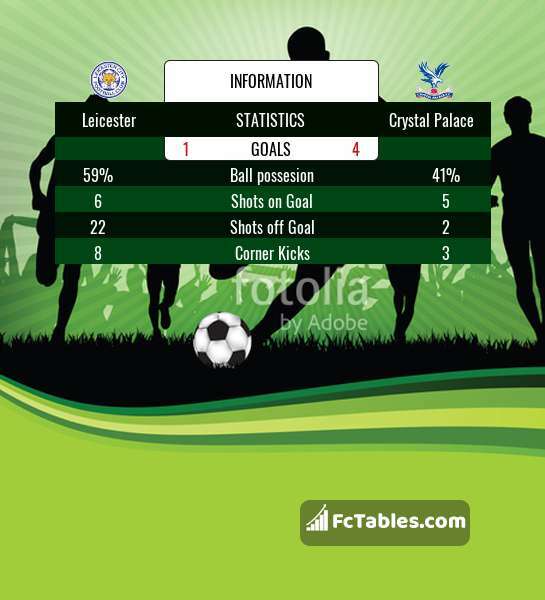 Balace of both teams games are: 10 won Leicester, 11 wins Crystal Palace, 7 draws. In 12 matches the sum of the goals both teams was greater than 2.5 (Over 2.5). On the other hand, 19 matches teams scored more than 1.5 goals (Over 1.5). In 10 matches the both teams have shot at least one goal.